Signal Hill Petroglyphs near Tucson, Arizona. This rock-art was created by the prehistoric Hohokam people. The Hohokam may have pecked these Petroglyphs more than a thousand years ago while on hunting and gathering expeditions. 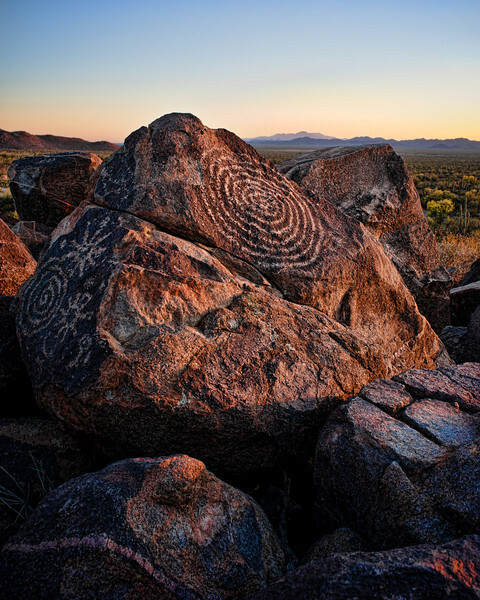 These Petroglyphs are found in the Western District of Saguaro National Park.